A classic 20" curb chain made from sterling silver. A staple piece of neckwear perfect for everyday wear. Sterling Silver Flat Curb Necklace 20" is rated 5.0 out of 5 by 2. Rated 5 out of 5 by Anonymous from A fashionable piece of jewellery This necklace is well made and quite masculine.I feel good wearing it and confident. 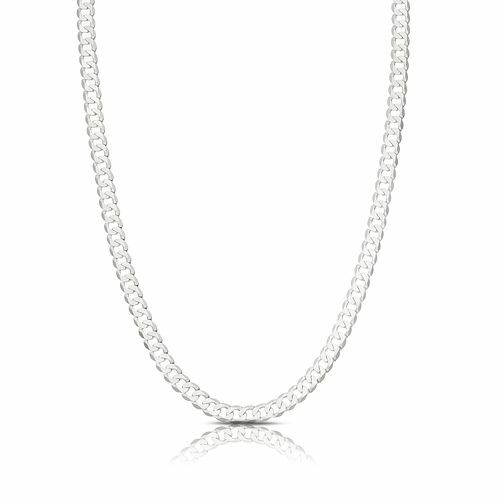 Rated 5 out of 5 by Anonymous from Beautiful Chain Bought for my husbands birthday, beautiful chain, excellent value for money and super fast delivery, would highly recommend.